I am sure some of us have seen these types of masks floating around the internet, the person peels them off and all the gunk in there face comes off and pores are left sparkly clean. 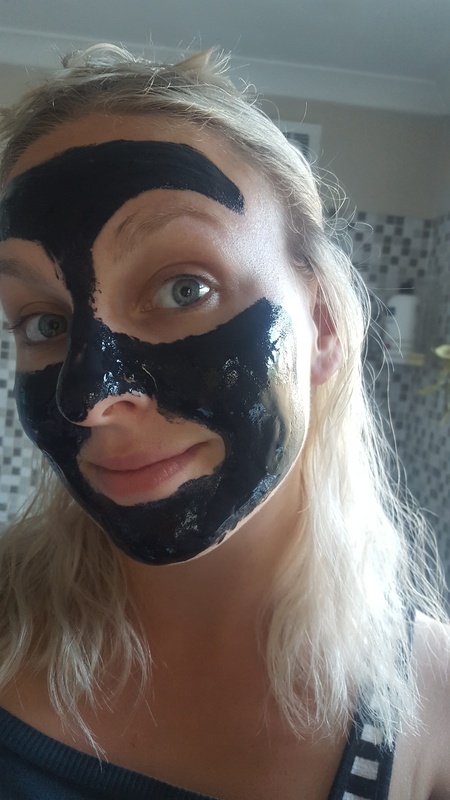 I got the Shills peel off Black Mask and I’ll admit pretty excited to see how much gunk I had in my pores lol. Now you wait until the masks dries and starts to peel off at the edges then you can remove it. Mine took 20-30 minutes for the whole mask to dry and it starts to feel pretty weird whilst it’s drying and getting tight. Some areas were totally fine and didn’t hurt at all but OMG some areas were like pulling a wax strip off! The mask clings on to every little hair you have on your face and rips them ALL out. (I didn’t even realise I had so many hairs on my face until I was ripping each one out!) The nose bit didn’t hurt and did clean out my pores leaving them looking much better so I will definitely be using this again over the nose area and T-zone. Yes it does the job and yes it does clean your skin but as long as you don’t mind a bit pain peeling it off. I would probably advise doing a smaller area first unlike myself who did the whole face and felt like I was ripping my skin off lol. Yea I love peeling them off!